As a business owner, your fleet of vehicles is a vital part of your daily business. Whether it is sales or service, your vehicles are a reflection on your company. 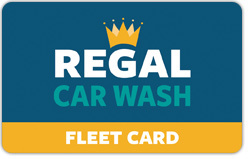 At Regal Car Wash, we designed a fleet wash program that’s flexible and easy to manage, while ultimately providing a great wash for your company fleet. Call us 610.696.3310 or Contact us above to get started.